The Audi A6 isn't bare in base-model trim; we actually like its transmission and it's handsomely equipped. The 2017 Audi A6 is a stellar mid-size luxury sedan; it's a bit sedate, but still good enough to compete with some flagship vehicles from other brands. The Audi A6 is a mid-size luxury sedan that competes against a slew of challengers from all over the globe, but manages to stay at—or very near—the top. 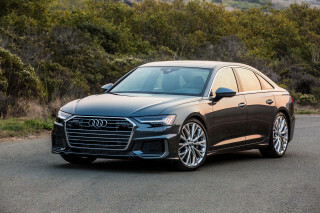 Few sedans under six figures offer the same available features and refined drive as the A6—and those pricier sedans don't have the A6's verified record of world-class safety. The 2017 Audi A6 hasn't significantly changed since last year. A slightly more potent A6 Competition model offers a mild horsepower boost and better seats, while the rest of the range receives the S-line exterior treatment as standard this year. The A6 was slightly updated last year to include a few corporate Audi features such as the large "Singleframe" grille design. A a sedan, the A6 is subtle and reserved, a stark contrast from its A7 cousin. The Audi A6's cabin space hasn't changed much over the past decade. The wart on its nose is its tight back-seat leg room. In front, a wide range of body sizes and types will fit, but the rear seat is more snug. The coupe-like, swept-back roofline is the likely culprit. With 14.1 cubic feet of space in the trunk, there's decent, if not plentiful, cargo space, too. We haven't seen crash scores for 2017 yet, but based on last year's ratings, the Audi A6 is one of the safest sedans on the market, regardless of price. Last year Audi pulled the diesel-powered A6 from sale, which was the former efficiency leader, but the A6 still manages to be fuel-efficient. Gas mileage reaches a high of 35 mpg highway, or 28 mpg combined. Inside, the A6 is awash in leather and technology and keeps pace with full-size models that are considered flagship sedans for other brands. The 2017 Audi A6 can be equipped with the latest and some of the best technology, infotainment, and convenience features available today, including Google Earth maps, in-car high-speed data, and Bluetooth audio streaming. That refined presentation may get lost in the A6's conservative exterior, however. And it also presents an existential problem for A6 shoppers: The A7 is similarly styled on the inside, and gorgeous on the outside, so why not go there instead? The A6 is subtle and reserved; a stark contrast from its A7 cousin. The 2017 Audi A6 looks nearly identical to last year's model and visually doesn't stray far from Audi's mode. A handsome and sleek sedan, the A6 is still relatively conservative and beginning to show its age. It's a no-nonsense look for the sensible person who'd choose this vehicle over the gorgeous, passionately styled A7 hatchback, which is mostly the same car under the skin. 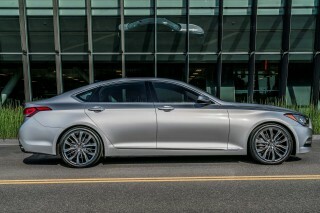 For this year, Audi is making standard its S-line exterior treatment and 18-inch wheels on all A6 models. Bigger 19-inch wheels are available on Sport-trimmed cars, 20-inch wheels come on the Black optic package. Last year, the A6 received subtle styling tweaks, including a restyled grille, new LED headlights, and distinct chrome trim. On the back, trapezoidal exhaust pipes with optional mesh inserts give the look a tweak. The A6's cockpit is precise, if busy. Audi does a good job disguising its myriad cut lines and panels with precise gaps and high-quality materials. In all, it's a subdued place to work, with a slim, low-set dash and a pop-up screen at the center of the dash that displays infotainment. Inside, the smartly trimmed exterior and quality materials are amended this year to include a flat-bottomed steering wheel and Valcona leather seats on A6 Competition models (the Valcona buckets were previously only available on the S6). 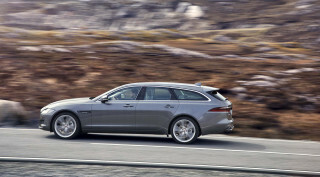 A competition model gets a slight horsepower bump on top of already potent 3.0T models. The performance of the 2017 Audi A6 is largely the same as last year's model, albeit with a slightly more potent, more powerful 3.0T "competition" model. 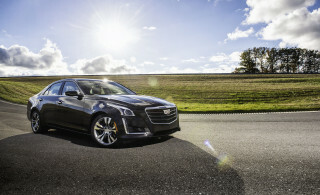 Last year, the base 2.0-liter turbocharged inline-4 received a significant power bump up to 252 hp and 273 lb-ft of torque. A supercharged 3.0-liter V-6 comes in two states of tune: 333 hp and 340 hp. The latter is dubbed the A6 Competition, which is new for this year. The base 2.0T sedan can be equipped with a 7-speed automatic in front-drive versions, the rest of the lineup-including the mega-powerful S6-shifts through a 8-speed automatic and all-wheel drive, which Audi calls "quattro." We cover the S6 separately . 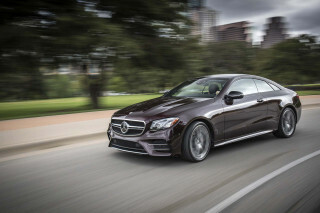 Before dismissing the 7-speed altogether because of its base-model availability, it's worth noting that we really admire the transmission's proficiency. The dual-clutch setup delivers precise shifts and better fuel economy. It's also exponentially better than the continuously variable transmission fitted pre-2016. Handling is unobjectionable but mostly dispassionate in the A6 2.0T. Moving up to the 3.0T twists the engagement dial; the 2016 model gets a slight increase in power. S but again, handling is competent but not inspired. Step up to the S6, and Audi ladles on generous power and handling upgrades. Power rises to 450 hp, and stiffer suspension settings and more aggressive tires deliver a more precise feel than anything else in the lineup. It's still a large luxury sedan, but the A6 has a glimmer of sports-car ability. Last year, Audi pulled sales of its diesel-powered A6 after the company acknowledged it falsified emissions data. It's not clear when (or if) those cars will go on sale again. The wart on the Audi A6's nose is its limited rear seat leg room. The 2017 Audi A6 is the luxury brand's mid-sizer and is closely related to the A7, but without its jaw-dropping curves. We think it's a bit more comfortable than the A7, but it's not exactly palatial inside. Overall, the A6 has excellent assembly quality, a harmonious cabin, and an interior that snuffs out road and engine noise better than the compact A4. Two 6-foot passengers will fit in the back, but their knees most likely will be touching the front seatbacks. The A7 feels a little more spacious on the inside, despite having smaller doors and less generous head room. The A6 sits in the middle of the mid-size sedan segment. The reason it has less interior space: it uses up some of that length in its nose. The front seats of the A6 have good leg and head room, although taller drivers may find lateral knee space more limited due to the wide center tunnel. Audi's seats are supremely comfortable for long road trips and the headrests get a special nod from us—they don't stick out too far, which is a problem with other active headrest designs. Heated front seats are standard, and on more expensive models, ventilated for warm weather climates. Fold-down rear seats are standard, though they don't fold completely flat. Like many other German sedans, too, the A6 doesn't offer up tons of space to store smaller items. Cupholders are small and maintain a tight grip, but the doors have molded-in niches for water bottles. The center armrest bin is a bit shallow, and the glove box doesn't offer much storage space either. The A6's 14.1 cubic feet of trunk space is not only smaller than the A7's hatchback area, it's even a bit small by luxury-sedan standards. The trunk's cargo floor is also rather high. 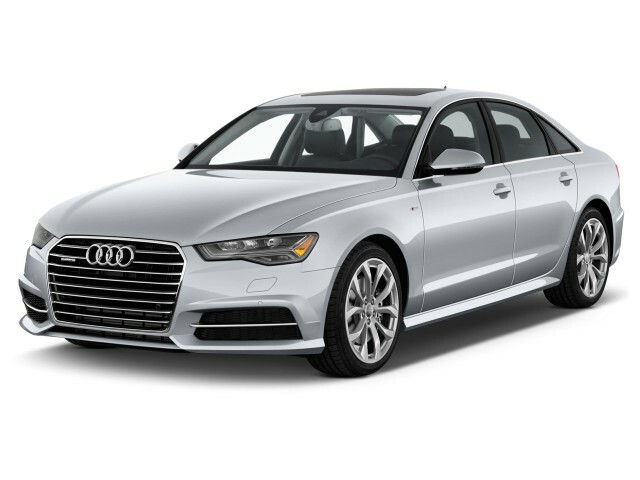 Scores are in and the Audi A6 is one of the safest sedans on the market, regardless of price. The 2017 Audi A6 has nearly perfect marks from both safety rating organizations, and one of our highest safety scores. Federal officials gave the 2017 A6 a perfect five stars across the board, including frontal crash and rollover safety. The IIHS called the 2017 Audi A6 a Top Safety Pick, with top "Good" scores for everything except headlight performance. Forward vision is excellent in the A6, thanks to big glass and a low beltline. The low decklid makes the rearview camera necessary. Along with the usual airbags and stability control, the A6 comes standard with Bluetooth. On the options list, Audi offers blind-spot monitors, a rearview camera, parking sensors, night vision, and a head-up display. Night vision now can detect a wider variety of animals. Thanks to a combination of adaptive cruise control and Audi's Pre Sense system, which tightens seatbelts and prepares the car when it detects an imminent collision, the A6 can completely slow down when it senses obstacles changing speeds in the lane ahead. All the latest safety technology—including adaptive cruise, Pre Sense, and a new cornering-camera system—are bundled in a Driver Assistance package. The 2017 Audi A6 can be equipped with the latest and some of the best technology, infotainment, and convenience features available today. For 2017, Audi added great standard features to an already impressive roster of optional equipment to make for one of the best-equipped mid-size luxury sedans on the planet. 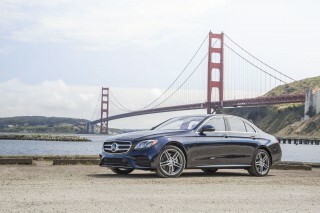 This year base 2.0T models receive the S-line exterior treatment, which includes 18-inch wheels. The A6 is handsomely equipped in base form, but it's also very easy to option the car beyond the $70,000 mark-near the high-performance S6 model. On the base A6, standard equipment includes a sunroof; power front seats; cruise control; tri-zone automatic climate control; power windows, locks and mirrors; tilt/telescoping steering; keyless ignition; leather upholstery; 17-inch wheels; AM/FM/XM/CD audio with a 5.0-inch LCD screen; and LED taillights. Heated front seats are also standard. Opt for the Premium Plus package, and you can add a 7.0-inch color display; a CD changer (for anyone who still uses physical artifacts); HD Radio; real-time traffic data; front and rear parking sensors; 18-inch wheels and tires; and Audi Connect, and an in-car wireless data service through T-Mobile. Audi Connect taps into the wireless data connection to enable Google Earth navigation maps and traffic information. Audi's system also allows you to plan a trip from your computer using Google Maps, then send up to 50 destinations to the car's navigation system over the internet. 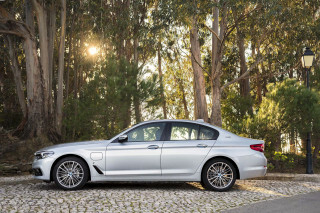 A cold-weather package is also available, as is a Sport package with 19-inch all-season tires and five-spoke wheels. Other optional extras include a xenon headlight package, and a Black Optic package with gloss black exterior trim and 20-inch wheels wearing summer tires. The best option? An awesome 15-speaker, 1,300-watt Bang & Olufsen with tweeters that rise on startup. The A6 Prestige models sit at the top of the model line and include a 7.0-inch display screen with MMI touch. A 14-speaker Bose sound system is standard on these models, as well as adaptive headlights; distinct 18-inch wheels; four-zone climate control; LED interior lighting; ventilated front seats; a power-adjustable steering column; cornering lights; and S-line cosmetic trim, including its own grille and bumpers. 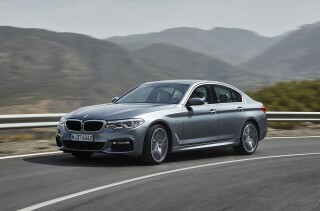 S6 models were only offered in Prestige trim. While there's no touchscreen, there's a touchpad called MMI Touch that allows some secondary input, including acting as preset buttons for the audio system, and as a Palm Pilot-style scratch pad, on which the driver can write out letters with their fingertip to enter destinations or choose contacts from the phone book. With the diesel out of the picture (at least for now) the 2017 Audi A6 manages to be relatively fuel-efficient. 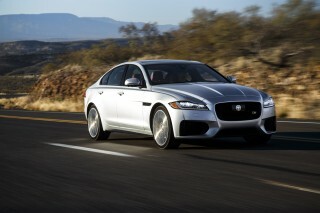 The efficiency champ for now is the 2.0T, which sports a 2.0-liter turbo-4 and 7-speed dual-clutch automatic. The front-drive 2.0T A6 is rated by the EPA at 24 mpg city, 34 highway, 28 combined. With all-wheel drive, which Audi dubs "quattro," those ratings tip to 22/31/25 mpg. 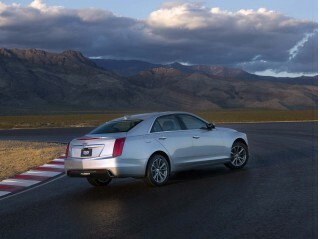 Even the supercharged 3.0-liter V-6 with all-wheel drive isn't a bad pick: it's rated at 21/29/24 mpg. Last year, Audi pulled sales of its diesel A6 after the automaker admitted it illegally polluted. It's unclear when (or if) those cars will go on sale again.